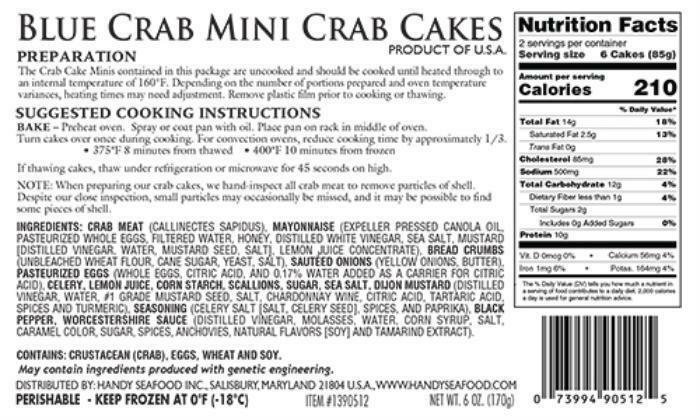 Handy Seafood Incorporated is recalling approximately 71 cases of Blue Crab Mini Crab Cakes. The product contains milk byproducts and anchovies, allergens not declared on the label. There have been no confirmed reports of illnesses or reaction due to the consumption of this product. The recalled product was distributed to Whole Foods stores in New Hampshire, Massachusetts, Maine, Connecticut and Rhode Island between November 11, 2016, and November 23, 2016. Customers who purchased the recalled product should return it to the store where it was purchased for a refund. Consumers with questions about the recall may contact Brendan Sweeny at 410-912-2000.